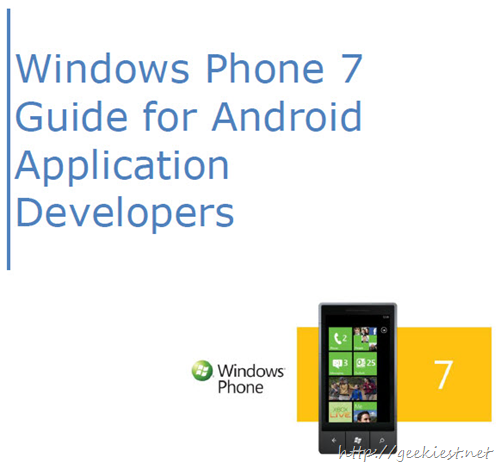 A Free eBook for the Android application developers who are interested in developing Windows phone 7 application. If you have been developing Android applications and are interested in building your applications for Windows Phone 7, this guide is for you. The guide will cover what you need to know to add Windows Phone 7 development to your skill set, while leveraging what you have already learned building Android applications.